Homeowners behind on their mortgage repayments have been warned that their mortgage protection policies will not pay their arrears if they die. Some 100,000 residential mortgage accounts are in arrears, and if the holder passes away their partner or spouse could be liable for tens of thousands of euro. Anyone with a mortgage is expected to have mortgage protection insurance in place to pay off the mortgage if they, or their partner, dies. However a new study from Caledonian Life has found that a large number of the 100,000 homeowner mortgage accounts in arrears are under-insured. According to the protection experts, they say that where the mortgage repayments fall behind, not only do homeowners fall into arrears, but their mortgage protection cover also becomes insufficient. These homeowners will inevitably find that a substantial proportion of their mortgage debt will remain outstanding should either party die unexpectedly and the mortgage policy pays out. 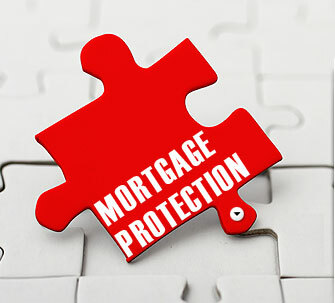 This may come as a shock to a surviving spouse or partner at a time when they can least afford it, as the standard Mortgage Protection policy used in Ireland simply doesn’t allow for arrears, particularly at the current scale. According to Joe Charles Marketing Manager at Caledonian Life: “When homeowners take out a mortgage they also take out a Life Cover policy (known as Mortgage Protection) for the same amount. The Life Cover reduces steadily as in the normal course of events, the outstanding mortgage balance is expected to fall as it’s being repaid. The experts at Caledonian say that those in mortgage arrears should contact their local Financial Broker and assess the gap between the level of cover and their total outstanding mortgage debt, and if at all possible, increase it by the difference. Thankfully, the cost of life cover is at a decade long low. Should NAMA place a floor on the property market?